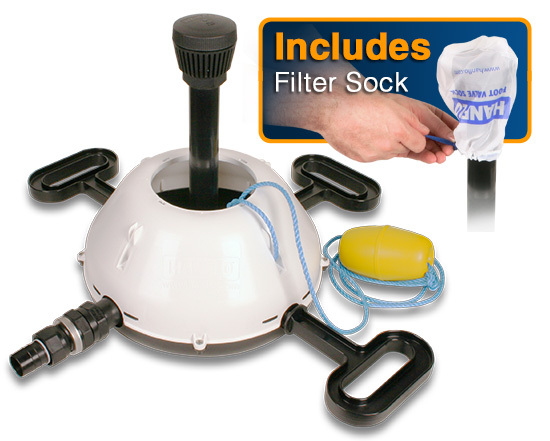 Over 50 years proven international success in the world market. 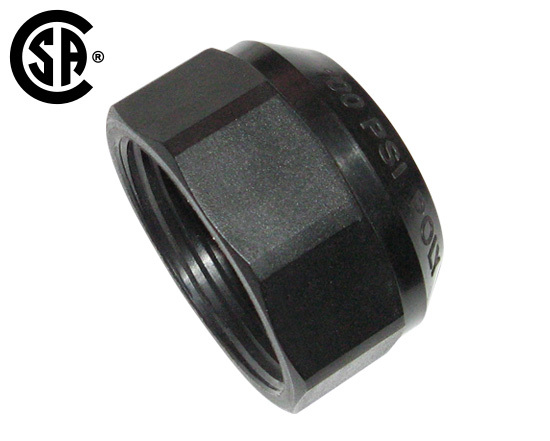 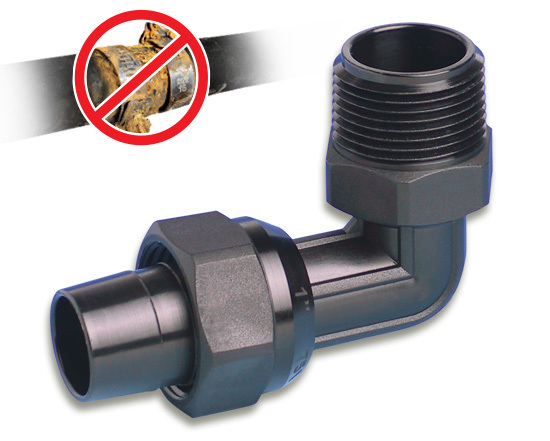 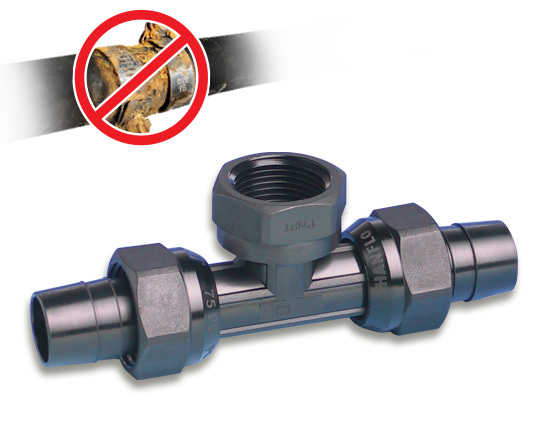 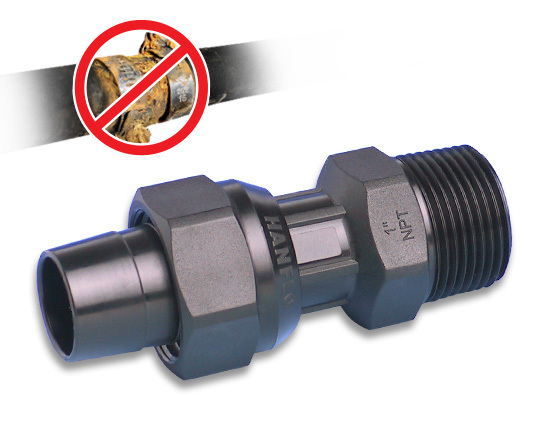 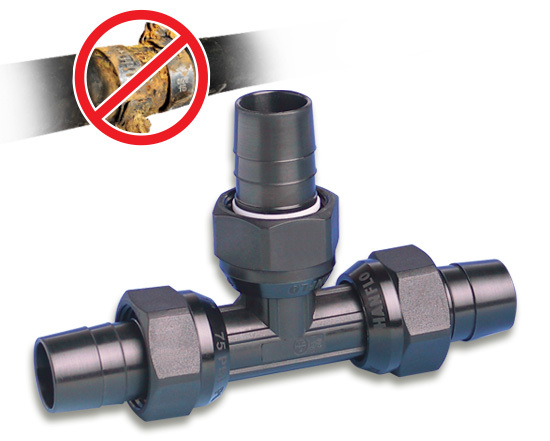 Easily connect poly pipe to poly pipe or threaded connections. 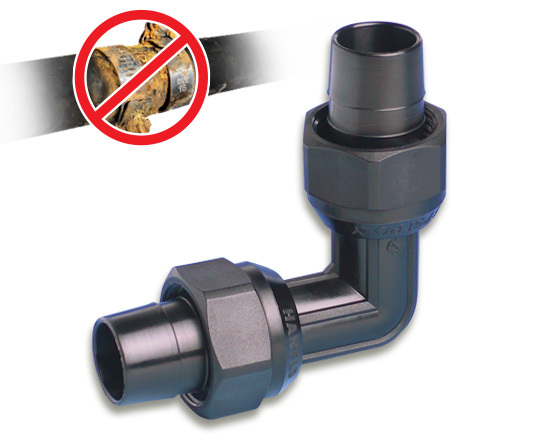 Simply push the fitting all the way onto the pipe, tighten by hand and then with poly grips, and you're done. 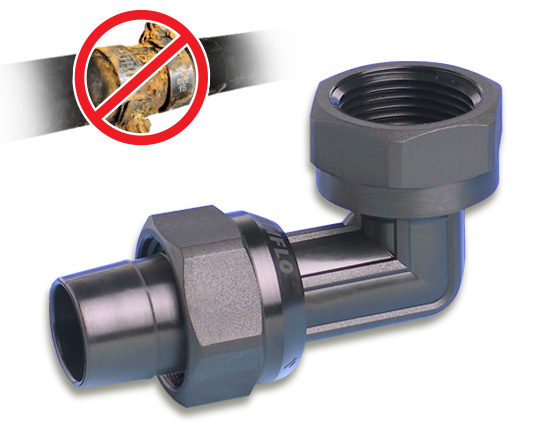 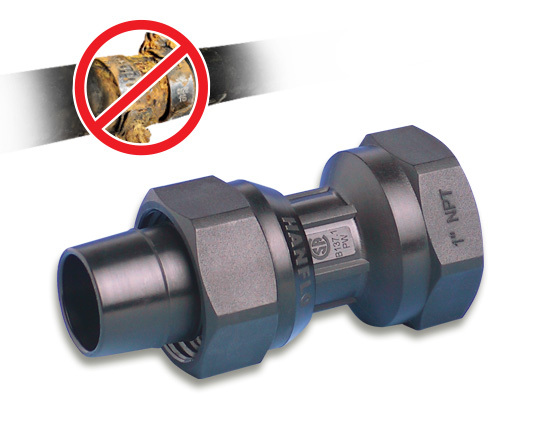 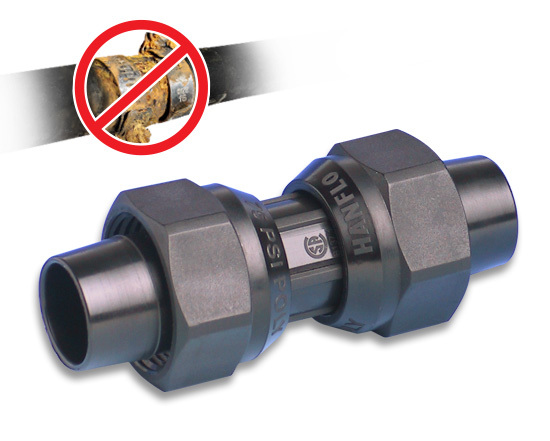 Provides a corrosion free permanent vice like grip connection.